I'm sure the in-house lawyers wouldn't have allowed Nintendo to take advantage of this, but it seems that if they did, this would've made for a great advertising campaign. Luckily, thanks to the web, someone else went ahead and did it for them. 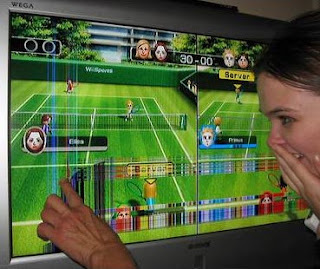 Wii Have a Problem has more than a hundred posts of things that happened when people got a bit too immersed in the new console's controller. As of today, the site has 25 broken TVs, 19 lamps, and interestingly enough, 1 fireplace.